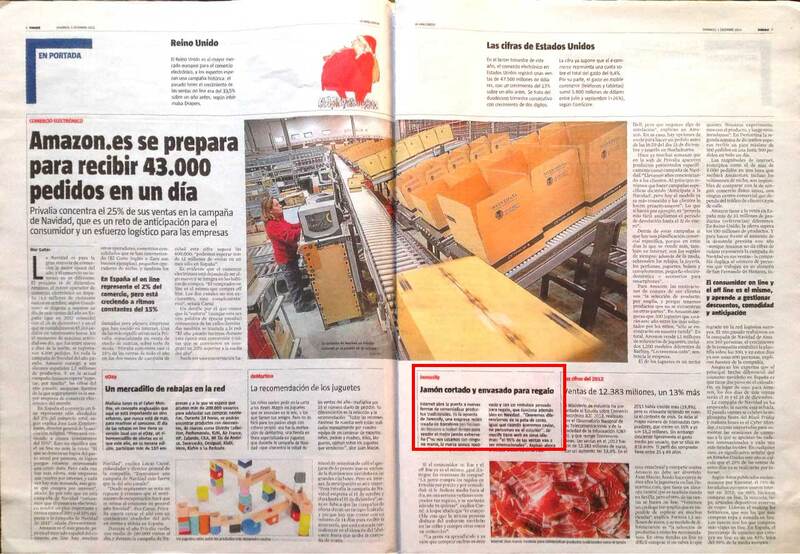 "La Navidad echa un pulso a la Crisis"
"Amazon.es prepares to receive 43,000 orders a day." "Jamonify. Ham sliced and packaged for gift." Special Ed. 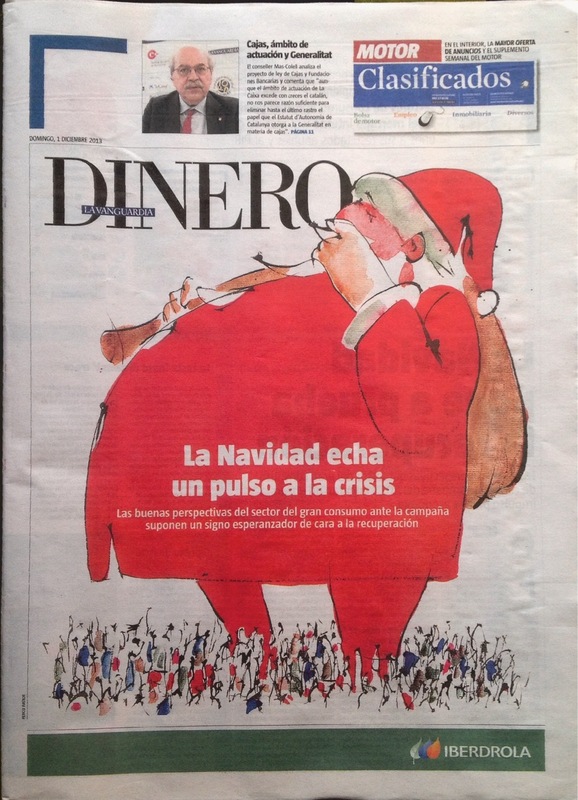 Dinero. Page 6.